A growing creative, tech and digital cluster – could ‘Silicon Beach’ be the right place for you to start a business? 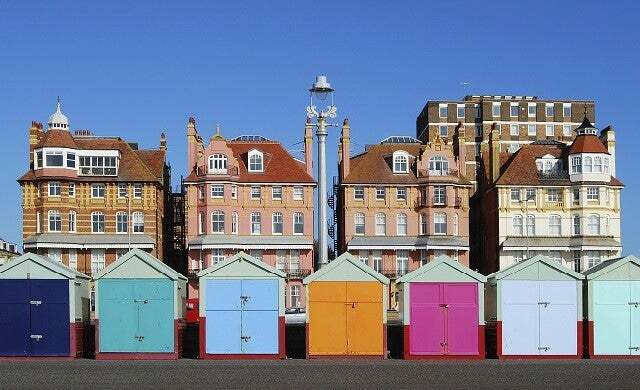 Why should you start a business in Brighton? An emerging hub for innovation and creativity, particularly with regards to digital technology, Brighton or ‘Silicon Beach’ as some tech start-ups refer to it, is fast becoming a popular home for exciting new businesses. A major tourist destination with over eight million visitors a year and home to Europe’s largest marina, the city is less than an hour from London and only 30 minutes by train from Gatwick Airport with good transport infrastructure – adjacent to the A23 and M23 motorways. Brighton also offers good connections to France with two daily ferry sailings to Dieppe from nearby Newhaven. According to Brighton for Business, Brighton is one of the UK’s entrepreneurial capitals with more start-ups per capita than anywhere else in the UK (Start Up Britain research 2015). With plenty of office space available at several sites such as New England Quarter, the mixed use Jubilee Street development, and Woodingdean Business Park, there’s also a number of flexible working options. Co-working premises are available at Brighton Media Centre which offers serviced accommodation to creative businesses, as well as a range of accommodation options from office space to storage at The Knoll Business Centre in Hove. There’s also a stunning harbour-side enterprise centre – Denton Island – which provides incubator units for start-ups with one-10 people and flexible and professional office space at The Sussex Innovation Centre. Located at the University of Sussex, the centre targets start-ups, growing businesses and “corporate innovators”. With two major universities; the University of Sussex and the University of Brighton, Brighton boasts a large student population of over 35,000 students, which makes finding skilled talent relatively easy. An impressive 48.6% of Brighton’s population are of working age with qualifications of NVQ Level 4 and above, considerably above average for the South East. There are programmes and initiatives available to help businesses access this talent. The University of Brighton operates the CENTRIM (the centre for research in innovation management) which is open to local businesses and offers an internship programme which links “talented graduates” with local companies. As with other cities where the talent pool is high, such as Oxford, employees don’t come cheap – with weekly salaries the fifth highest of the index at £ 555.90. Brighton & Hove Chamber of Commerce: The Chamber is keen to develop new businesses and does so by offering training and networking opportunities. Sussex Chamber of Commerce: The Chamber of Commerce for Sussex provides a host of professional services to its members including help with HR, legal queries, and training. MD Hub: Provides support to managing directors and offers a range of monthly seminars led by leading business names, and workgroup advice sessions. Brighton is becoming increasingly geared up to offer business support. For start-ups with high-growth potential, Sussex Innovation Centre – part of the University of Sussex and Brighton’s leading science park, offers facilities and funding to help take a business idea to market. Aimed at tech and innovation-based firms, the Centre also provides a support team to cover areas such as bookkeeping and accounts, business strategy, and sales and marketing. The Digital Catapult (the national centre for the rapid advancement of the UK’s strongest digital ideas) announced a new Brighton location that will focus on the ‘Internet of Place’ in March of 2016. The centre will develop accessible and innovative projects for start-ups and small businesses to use and learn from as well as hosting a series of events to foster collaboration. Entrepreneurial Spark runs a Brighton location, NatWest also operates in-branch entrepreneur hubs in Brighton, while, as of early 2017, Barclays now operates a start-up accelerator with Creative England; Eagle Lab – Flight, to enable creative start-ups and technology start-ups to collaborate. The Business Growth Grants programme can provide up to 50% of funding for an expansion project that can credibly demonstrate job creation and is in one of the following sectors: Advanced engineering, manufacturing, environmental technologies, goods and services, creative, digital and IT and healthcare, medtech and life sciences. While applications for this year’s fund are now closed, (£1m was available for 2015/16), the programme will run across the next six years. In terms of debt and equity growth finance, fund management organisation Finance South East offers support to “innovative” start-ups and growing businesses across all sectors that can prove that they will deliver growth. Whilst investment funds are sparse in the Brighton area, the Sussex Innovation Centre and MD Hub are currently exploring a collaboration to establish funds for businesses in Brighton and Hove. Online matchmaking service The Funding Room offers an alternative source of funding for new and growing businesses. Founded by angel investors Stephen Moore and Philip Davies, the platform enables businesses to pitch to a host of potential angel investors either face-to-face or online. According to the Land Registry’s latest house price index, average house prices for Brighton and Hove were £352,303 in September 2016, up from £285,206 in 2015. Rising house prices demonstrate the growing appeal and wealth in the Brighton area, presenting a good investment opportunity for entrepreneurs looking to start a business in the city. The crime rates for Brighton and Hove are of a similar average to the crime rates of comparable areas such as Bournemouth and Reading. In terms of criminal activity, there were 80 police recorded crimes per 1,000 people. Internationally recognised for its arts and culture, Brighton is home to what is said to be the largest arts festival in England – Brighton Festival which boasts music, theatre, dance, art, film, literature and even circus acts. Brighton is also well known for its busy nightlife and bar scene with over 400 restaurants, pubs and bars in close proximity. Local favourites include The Fishbowl, The Fountain Head, Casablanca and The Mesmerist. A first-hand account from an early-stage start-up on what it’s like to start a business in Brighton and what the city has to offer new entrepreneurs. You can also gauge insider opinion on what more Brighton needs to do to accommodate start-ups. Offering “great looking and great tasting cakes”, Chocadyllic shares networking and funding insights for Brighton. There are also some great start-up spaces in Brighton and Hove. Try having a look at the workgroup. They have everything from co working, starter offices to much bigger spaces and help all creative businesses from app and games companies through to makers and artists.